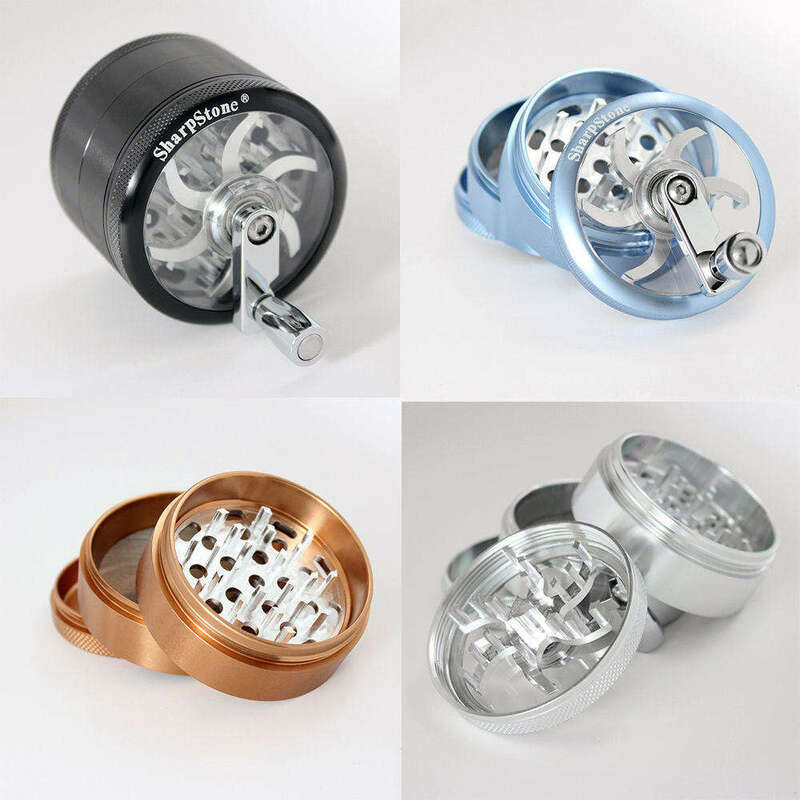 Introducing the 2.5" Sharpstone grinder with crank handle - They are named "Sharp", they look sharp and they are sharp! These are the only grinders made by the high-pressure extrusion method rather than by computer numerically controlled (CNC) tool and cutter grinder. This results in much stronger teeth as there are no stress fracture lines in the metal. The handles fold flat when not in use and each grinder is supplied with a cotton drawstring bag to store it in. Each grinder also comes in a box with QR scratchcode to prove authenticity (see photo). Please remember that we ONLY EVER sell authentic goods. There are lots of fakes out there, so buyer beware - if it isn't in a box with the QR scratchcode, then it isn't genuine!